We opened our Immediate Care Clinic on March 30th, 1996 on Falls Avenue in Twin Falls, Idaho. We certainly had some growing pains and struggled to get patients in the door for quite a few years. The practice continued to build because of fantastic medical care, convenient hours, low costs and great customer service. In 2011, the owner of the practice decided to sell just the practice and keep the building. We decided to jump in and purchase the practice. The coming years were a struggle, given the circumstances, but we always focused on top notch medical care and great customer service. In 2017, there was not an opportunity to continue on with our lease at 260 Falls Avenue with the previous owner of the practice, who still owns the building. The Falls Avenue location had become quite run down so we decided to search out a better location to serve our patients in a brand new facility. The best site was across from Walmart on Cheney Drive West. At the same time, Wright Physical Therapy was looking for a new location. We decided to team up and create one fantastic property to serve our patients. Thus, 243 Cheney Drive West was built. A brand new, state of the art facility in a fabulous, convenient location. We believe that our location is as good as we can ask for. Easy in, easy out and multiple Pharmacies within a mile or so. We are prepared to serve our patients for another 20 plus years. The medical providers and our dedicated staff are here to serve you from 8am to 7pm, Seven days a week, 362 days a year! From urgent care to women’s health to family medicine to workers compensation, make your appointment or walk in today. 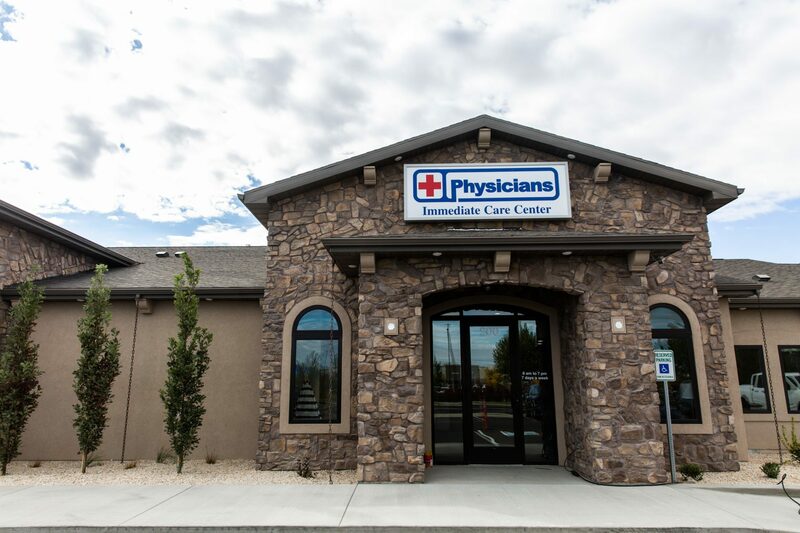 From all of us here at Physicians Immediate Care Center, we are proud to be your urgent care leader in Twin Falls and the Magic Valley!